When you shop Dollar General, you join an effort to make our communities and our world a better place. We are committed to conducting business in a way that promotes healthy families, thriving communities and a cleaner environment. 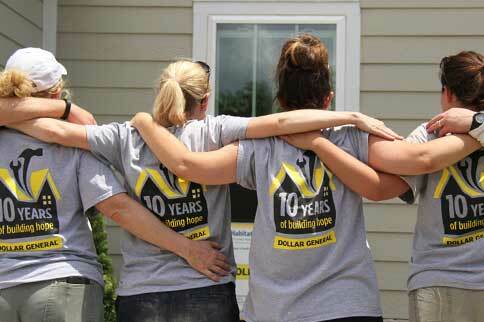 At Dollar General, corporate responsibility is built into our mission of Serving Others. By providing safe products, supporting our communities and enforcing environmentally friendly practices, we proudly display the values that make our company great. An integral part of Dollar General’s mission of Serving Others is our charitable efforts in the communities we call home. Through our charitable outreach, including that of our foundations, we strive for meaningful and lasting impact on individuals and families. We believe the one gift that lasts a lifetime and provides individuals with the opportunity for a better future is the ability to read. Since 1993, the Dollar General Literacy Foundation (DGLF) has awarded more than $160 million in grants to nonprofit organizations that have helped more than 10 million individuals learn to read, prepare for their high school equivalency test or learn English. For more information about the Dollar General Literacy Foundation and its grant programs, www.dgliteracy.org. While literacy is our primary charitable focus, Dollar General also supports disaster relief efforts and other initiatives through national partnerships. Some of our partners include The American Red Cross, St. Jude Children’s Research Hospital and the Marine Corps Toys for Tots Foundation, to name a few. 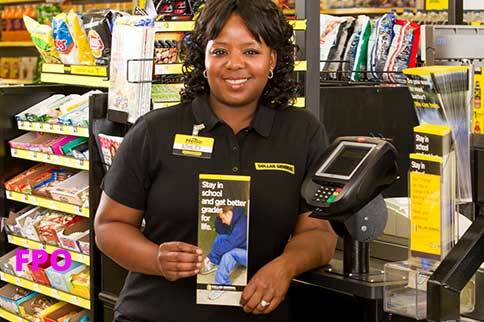 Learn more about Dollar General Literacy Foundation here. Our mission of Serving Others is the foundation on which our business was built, continues to operate today and serves as a guiding force to support the Company’s future. By maintaining our focus on Serving Others, we are able to provide our customers with a shopping experience that helps provide a better life for their families; encourage and work with our vendors to provide safe, reliable products that are manufactured in compliance with both the law and our expectations; provide employees with a safe, respectful workplace that provides opportunity for development and career growth; and support the local communities and broader world in which we operate. To view Dollar General’s Serving Others report, click here.